Alpha Sigma Alpha owns the trademark for the name Alpha Sigma Alpha, our Greek letters, crest and membership badge. 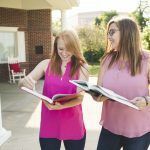 As such, Alpha Sigma Alpha is under legal duty to protect the goodwill associated with its trademark and has both the right and legal obligation to ensure the integrity of our name and brand. Our partner in this effort is Affinity Consultants. Affinity Consultants administers a comprehensive trademark licensing program on behalf of national fraternities and sororities. It is their goal to provide our members a network of socially responsible companies to choose from that offer high quality Alpha Sigma Alpha products at reasonable prices. Alpha Sigma Alpha works with Affinity Consultants to grant licenses to companies that manufacture merchandise with our name, Greek letters and insignia. The national sorority does not approve any products that attempt to glorify alcohol, hazing, racism, sexism, or any other image or design that is offensive or hurtful to others.